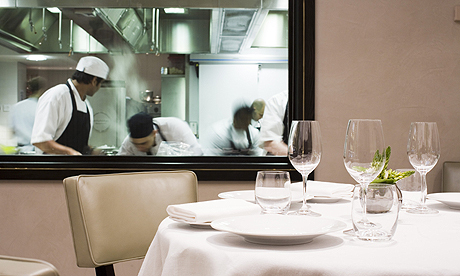 My first experience of a Chef’s Table was about ten years ago at the wonderful L’Ortolan – but the funny thing was we had not intended to book this now revered seat. It was a such new concept that when we were told the restaurant was fully booked, apart from a small table within the kitchen itself, we thought they were having us on! Mr R and I are nothing if not intrepid however and once we established that it was a new idea they were trying out for people that wanted to get close to the kitchen action, we duly booked, albeit with a little scepticism. My memory is a little hazy but I seem to remember that we were sat side by side, looking out at the restaurant through a fish tank. We were quite bemused at first, feeling slightly awkward, as though we were somewhere we shouldn’t be and what was really telling was the startled reaction from the other diners peering through the fish tanks and seeing this couple sat the other side! We started to refer to ourselves as the ‘naughty table’ as it felt like we’d been kept where the chef could keep an eye on us rather than the other way round! After service had got into its swing, the chefs became much chattier and we felt we truly saw the ‘other side’. We were given little tasters of all of the dishes being served that night and ended up pretty sozzled as the sommelier used us as a test case for some new wines he had recently purchased. We left on first name terms with all the chefs, feeling completely spoilt having experienced something truly unique and special. After this revelatory event, I began to see Chef’s tables popping up everywhere and now it is seen as the most selective and impressive table in a fine dining establishment. If you want to truly pamper your inner foodie, or indeed impress your guests, there can be no better table to book. It is also increasingly popular as a special present to the dedicated gourmet in your life (even if that happens to be your good self). Below is our recommendation of some of the best Chef’s tables in the country. Situated in the heart of the main kitchen at Pennyhill Park, you can enjoy a bespoke tasting menu by Chef Michael Wignall, whilst witnessing the theatre, drama and skill required to create it through interactive glass panels with detailed close-ups on a large LCD screen. Totally adaptable to your mood, a handmade glass cast table infused with bubbles and adjustable light systems takes pride of place, under a bespoke commissioned Swarovski crystal chandelier, surrounded by a very glamorous onyx wall and glass mosaic floor. 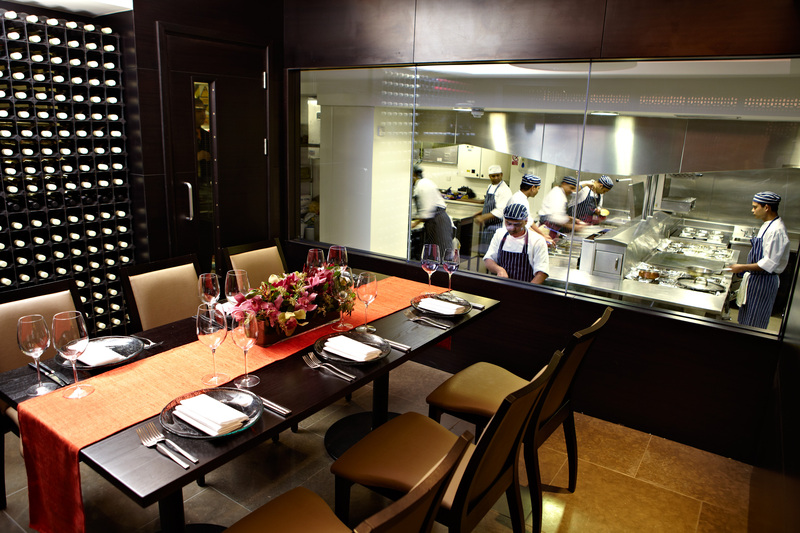 Now far more refined than when I first visited, the chef’s table is located directly in front of the pass so you have a great view of the preparation and dressing of dishes as they are finished off to perfection before being sent out to guests. The chefs and front of house team guide you through each course, sharing their knowledge and passion for the food and wine they are serving. Alan Murchison and his team will take you on a culinary journey featuring signature dishes from L’Ortolan paired with wines carefully selected by their Sommelier. Great for a more intimate dining experience. Taking the ‘Chef’s Table’ concept and exquisitely developing it, diners at Matt Gillan’s 26 cover Michelin starred restaurant are closely involved in the kitchen drama. Guest either face the open kitchen or view the action on their own screens as the line between where the kitchen ends and the restaurant starts is truly blurred in this cutting edge platform for Matt’s ever growing genius. 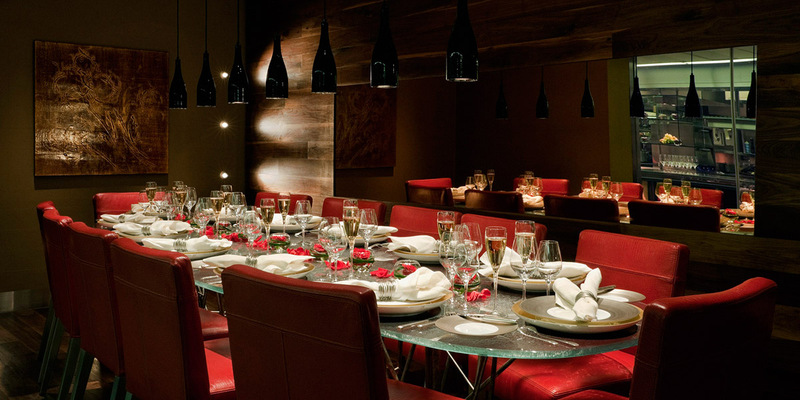 A definite DR favourite, The Pass takes fine dining and makes it fun and fascinating. This exquisite chef’s table was designed by the late David Collins and is luxurious, intimate and perfectly positioned to oversee and experience the vibrancy of the kitchen. A special, bespoke menu is created and the chefs involved in creating your menu will come to the table and personally offer a detailed explanation of every dish. The chef’s table here overlooks the kitchen like a ship’s deck overlooking the ocean. Up to 6 lucky diners can see directly into the kitchen at this eatery. This really is the best view in the house, with a first-hand look at how Atul Kochhar has earned his reputation as one of the best chefs in the country. The Chef’s table at Paris House is set in the heart of the Paris House kitchens directly opposite the pass where the Head Chef plates every dish and where you will see, feel and smell all that is going on. The chefs will spoil and entertain you, answer your questions and delight you as you sit through a complete service and witness the creation of each dish going out into the restaurant. 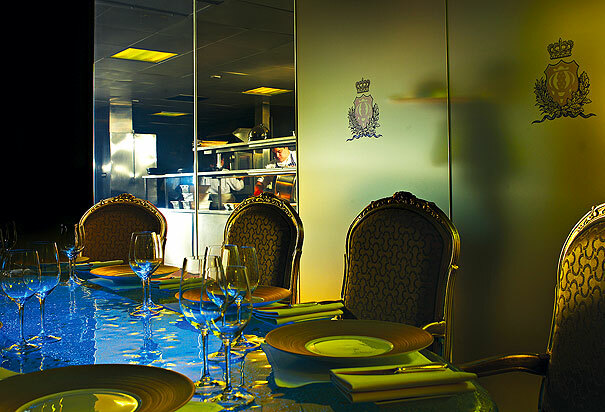 Nestled in the heart of The Dorchester’s kitchens behind a liquid crystal glass wall, the chef’s table strikes the perfect balance between a hidden enclave for private parties and the chance for guests to participate in one of the most highly regarded kitchens in London. The menus are personally prepared by executive chef Henry Brosi, who is on hand to discuss the philosophy and preparation of the meal. This excellent restaurant has an actual tasting dining room adjacent to the kitchen at La Bécasse called The No 1 Vaults. Guests are able to fully interact with the theatrics of the kitchen, hearing and smelling all of the action of service whilst still in the comfort of a dining room. 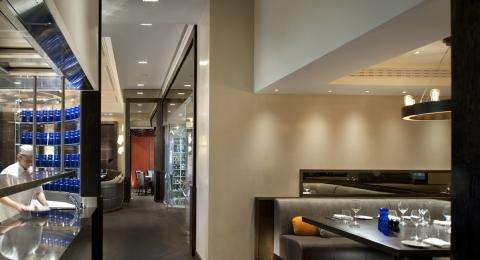 Diners experience a surprise seven or ten course tasting menu not available in the main room. Although only open a relatively short time, Dinner has taken its place as one of the best restaurants in the world. It stands to reason, therefore, that its chef’s table must also be one of the best in the world. Providing the ultimate culinary front row seat, this most special of tables is situated directly opposite the fabulous custom built show kitchen and provides an incredible opportunity to witness the inner sanctum of Executive Chef Ashley Palmer-Watts first hand. Great article – thanks for the feature! You are most welcome – you provided the inspiration for the post!